Every year Dusaspun held employee gathering to appreciate its employee for their hardwork and dedication towards the company. 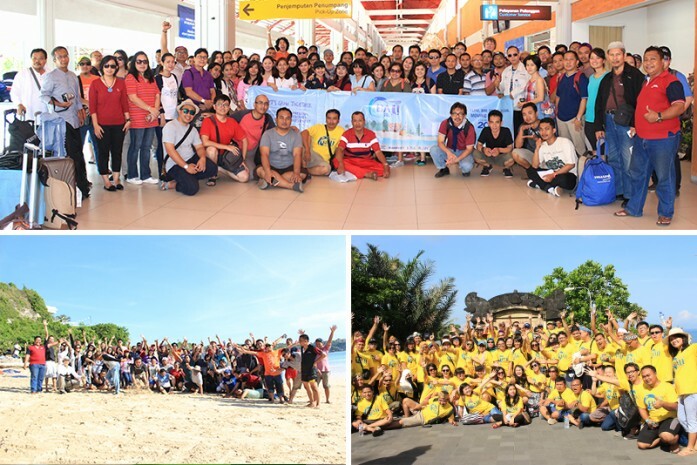 Last year Gathering Event was held in Bali (Indonesia). During three days event, we did many exciting things including outbound activities, watersport, and awards night. Despite the tight schedule, the whole event was successfully conducted. We had the theme of: Let’s Grow Together. One Team, One Spirit, and One Goal Moving towards Vision 2020.